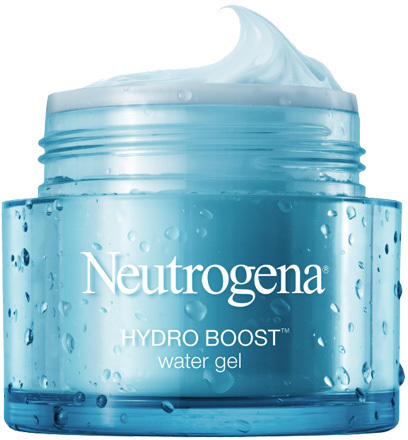 NEUTROGENA ® HYDRO BOOST Water Gel is a moisturising gel that has been formulated to double the skin's moisture. The formula features an innovative progressive release system, which works to absorb moisture from the air and release it into the skin over time to combat dryness, leaving skin soft and radiant. It also contains highly purified hyaluronic acid for extra hydration and moisture retention. I love my hydroboost watergel! Always leaves my skin feeling refreshed and hydrated, I use it under my makeup to crest a smooth base. The smell is slightly frangrance free yet has a hint of freshness/water like smell to it. The way the watergel sits in my skin feels absolutely lovely. I have combination/oily skin type and this moisturiser works wonders for me. I love it! A little goes a long way, so take a small amount and spread amongst skin. This a lovely gel moisturiser that is very light and easily absorbed. I like using this under my sunscreen on summer days, it does have a hydrating effect and doesn't interfere with the sunscreen or make-up application after. As it is quite lightweight, drier skins may need another layer of moisturiser but normal-oily skin should be quite comfortable. There is quite a strong fragrance when it is applied, nothing unpleasant but unnecessarily strong in my opinion. It does go away quite quickly. The ingredients include glycerin and sodium hyaluronate (great hydrators), but also include silicone. Personally I'm fine with silicones but some people may not be. I still prefer my Hatomuji skin conditioner gel from Japan which has a similar texture and no fragrance, and comes in a huge 180g tub. However, this Neutrogena product is much more easily available in Australia in pharmacies and supermarkets. A nice hydrating layer to use under sunscreen. Normal to oily skin with dehydration, drier skins may need another occlusive layer. Firstly I love the packaging of this product. This moisturiser is housed in a beautiful blue colour glass jar that looks chic. The moisturiser is a cool, pale-blue gel and feels like liquid to the touch. I did not enjoy the scent of this moisturiser as it has an aquatic scent to it and is highly fragranced, which is a bummer for me as I am not a huge fan of artificial fragrances in skincare products especially if they are too strong and linger around. I feel like there is no need for such strong artificial fragrances in skincare. Hence I think those sensitive to scents will just not like it. Effects of this moisturiser on my dry skin: On application it instantly disappears into the skin and feels dry to the touch, leaving me wondering if I’ve even applied the product. Hence I end up using more quantity than I generally would. It surely gives a cooling effect going on and leaves my skin soft and smooth (thanks to the silicones), while dries down to a matte finish which I am not a huge fan of either. Honestly, I like moisturisers that give my dry skin that healthy-looking plumped effect. I tried this moisturiser in the warmer months, when my skin is not extra-dry, but even after slathering a good quantity of this on my face it did not provide sufficient hydration to my dry skin which was very disappointing. Overall except packaging nothing really impressed me about this product and honestly the deal breaker for me was the strong artificial scent. As this product was neither hydrating for my dry skin, it’s surely a miss for me and I feel like there are better hyaluronic acid based moisturisers available in the market at this price point. The first few times I used this product, I was underwhelmed. It didn’t seem to hydrate anything. After the third or so time, my skin felt completely different. It’s so soft and bouncy! Everyone is asking about it, and even my eyebrow lady noticed a difference! The gel doesn’t leave any tacky residue. It sinks right into the skin. It has this lovely cooking effect when I put it on, it just feels so nice! I’ll definitely be purchasing more from the hydro boost range! I was looking for a moisturiser that wasn't to greasy or heavy for day wear that i could also wear under makeup and primer. I had tried many but found them too thick or oily and made my foundation and skin look shiny. I had seen the ad for this many times and though I'd give it a try wihout expecting too much. What I found was a great, lightweight moisturise that keeps my skin hydrated throughout the day but doesnt make it look greasy! it pretty much soaks in straight away and works great under primer and foundation! day wear under makeup and if you need something hydrating but not heavy. I'm totally in love with this product because not only does it hydrate but it does so without oils like a traditional cream or moisturiser. This is great for me as I have oily/combination skin that is prone to acne so I need something that will complement my acne treatments too. I use it every night without fail and it will definately be an addition to my skin regime. I got this free at Coles once as a free with purchase and have been using it ever since. I seriously love the gel texture and it started my love affair with gel products. The colour makes it feel clean and it sinks straight in. I can apply this under make up, after nightly shower, during the day, as a mask and I always feel hydrated and never too heavy. This range is really great and I love to put this on and then one of their single use masks over the top. It is great smelling and really affordable. It doesn’t hurt my eyes if I ever get it in them and it also it’s ouky so doesn’t affect my lash extensions. I was really interested to try this popular new moisturiser which seemed to be both light and hydrating. The water gel formula is really smooth and light. It is light blue in colour and quite strongly scented. The silicones make it feel so smooth on the skin and it sinks in so quickly. I love using it as a moisturising primer in the morning underneath my sunscreen. I’m looking forward to feeling moisturised this summer without the greasy feeling of other moisturisers. However, when I apply it as part of my PM skincare routine I find that I have to use quite a lot a product to wake up feeling hydrated and supple. Overall, it’s not the miracle product that the hype has created but I would recommend giving it a go if you struggle to find a moisturiser to suit your skin in a warmer climate. Neutrogena you did it! !.It is an amazing light weight moisturiser (kinda drink for skin). After applying this the skin feels so hydrated and bounces back. I have combination skin so it is an ideal product neither too heavy nor too light. Overall, it is an amazing product and I would highly recommend to those with oily to combination skin, as it moisturises skin giving hydration without increasing the oiliness of my skin, like other moisturisers. Combination to oily skin types.. This moisturiser is extremely light weight and absorbs very quickly into the skin, making it idea for putting on before makeup. With my combination skin, I found this product to not provide enough moister to my skin and I would have to put it on twice so that my skin did not feel dry. It was nice to use, had a nice scent and was enjoyable overall. I would prefer to spend a little more money and get a more concentrated product as I went through this very quickly. Neutrogena Hydro Boost is a lightweight gel that is moisturising and not heavy on the skin. It is relatively hydrating and light which makes it an ideal day cream. The gel is cooling and has a light fragrance. For night use it doesn’t suit my needs as I need something more moisturising. The gel may sting if used on extremely dry patches, as well as grazed areas. ( it did for me). Overall, I really liked this gel/cream and will be buying it again. Oily to medium dry skin. It is not an oily moisturiser; which makes it suitable for people with oily skin, but it is not moisturising enough for very dry skin. My skin is combination-oily type. Previously I have been using Laneige gel moisturizer but it was difficult to find Laneige brand in Gold Coast and TBH, it was pretty expensive too. I came across this moisturizer and have read many good reviews on it. Thus, I have decided to give it a try. And now, it's my to-go moisturizer! It comes in a 50g tub with no applicator, so make sure your hands are clean before you dip in. Smells fresh, just like it's cleanser (Even my husband said it smells good). It is in a gel consistency, and there is some cooling effect when I apply it on my face. The gel absorbs quickly into your skin but does not dries up my skin. It does not cause any breakouts for me or make my face oily as days goes on. My skin actually looks more radiant. I gave it 4-star rating because I find that it is not so hydrating and it would not suit those with really dry skin. Not suitable for those with really dry skin. I felt like my skin wasn’t absorbing the cream and it will dry quickly and when I rub it it become like flakes and will fall it’s was a disappointment for me but I think it was my skin type coz it is dry and very sensitive. This is one product that I have absolutely loved using. I have a normal skin but after migrating to Australia, my skin suffered dryness and dullness. I googled a lot and got to know the more you infuse your skin with moisture, the more your skin would feel revived and glowy. I also use this in the morning, just before applying my sunscreen. It adds that moisture lock and then you can add your UV. I first tried the Hydro Boost Water Gel back when it was first released and I was hooked straight away. Up until now it is still one of my favourite affordable moisturisers. It is a lightweight texture that sinks in really quickly and nicely. It's perfect for both day and night time as it's not heavy but it gives intense hydration. It's a perfect moisturiser for oily/combo skin as it's water based with hyaluronic acid so it's not adding any unneccessary oils to the skin, just hydration! The smell of the product is also lovely, just nice and refreshing. This is definitely a go-to moisturiser whenever my skin is feeling a little on the dehydrated side. Highly recommend! Any skin type that is feeling a little dehydrated. I get really dehydrated skin during the winter and have tried many different moisturisers, a lot of which have all broken me out and irritated my skin and/or left a weird film and oily texture on my face. After seeing all the positive reviews this moisturiser got I decided to try it out and it DEFINITELY lives up to the hype. I am up to my third jar of it now and I love it. It has a great light texture on the skin, absorbs quickly, has no alcohol or irritating ingredients, and works so well- it is super hydrating! Got this when it was on sale at Woolworths after seeing reviews on Reddit, and I was pretty happy with how it was on my skin. Lightweight, quick absorbing, and it didn't clog up my skin like other moisturizers. It leaves my skin plump and moist, and has a nice shine to it. The product could be better if it wasn't in a tub open to bacteria and germs. Although it's nice, not sure if I would buy it again but YMMV. This product really lived up to its name. Hydro boost. It really boosts up my skin hydration, providing moisture all day long! With super dry skin, I have problem in finding good moisturiser, specifically during cold, dry winter months. Fate brought me to my local Priceline and I saw this beauty on the shelf, straightaway grab one and yes, I'm in LOVE!  The smell is lovely, not too overpowering and I feel very pleasant while using the product. It also absorbs nicely into my skin without leaving it feeling sticky. Keep the product in the fridge before using. You'll get an extra refreshing feeling. Thanks to beautyheaven I won this product along with the cleanser and mask. I love that the water gel feels so cool and refreshing on your skin. I use it every night before bed and it gets absorbed so quickly I don't have to worry about leaving any marks on my pillowcase. My skin is definitely less dry and flaky. It hasn't caused me to have massive breakouts either, which is what I have found with other hydrating products. Watch them vanish before your eyes! It's time to shake up your skin care routine. Check out our bumper edition of the best sales this month. What takes the top spot in her make-up kit? Did someone say shopping spree?